First, let’s go over how to upload a Business Associate Agreement. Navigate to the ‘Associates’ tab. 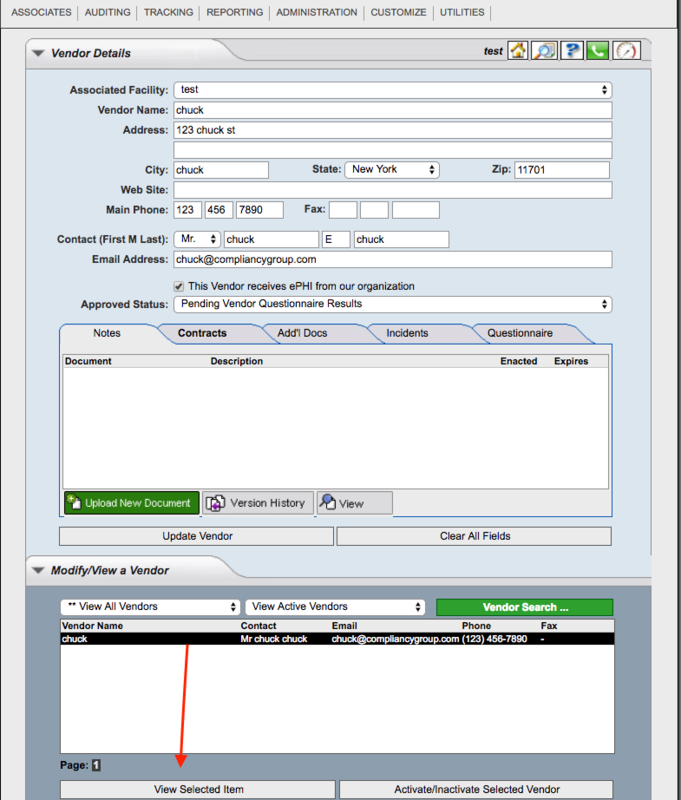 After entering your Business Associate’s general information you will see them listed beneath ‘Modify/View a Vendor’ toward the bottom of the screen. 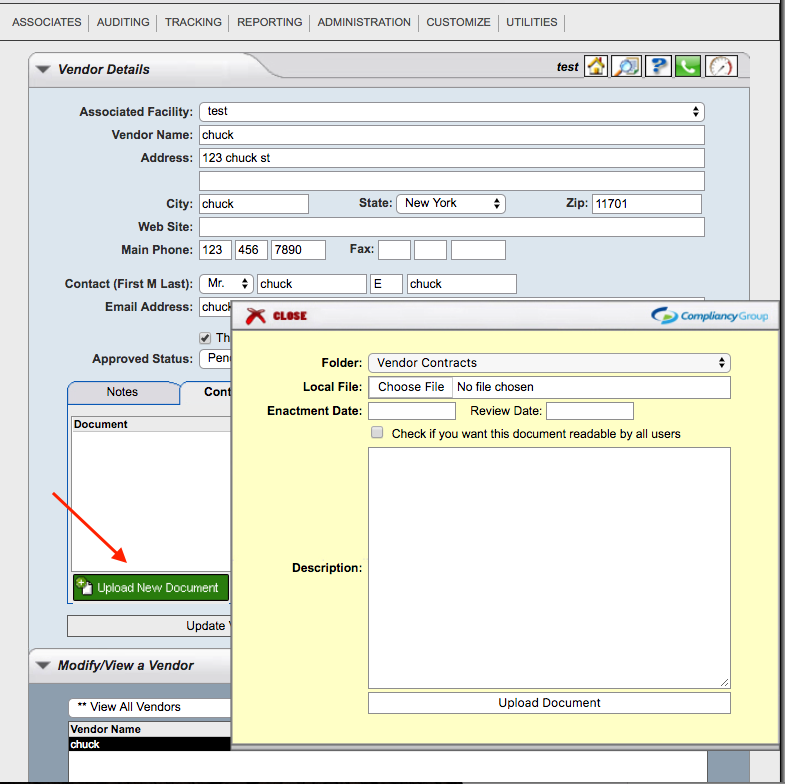 You will notice above that the tab labeled ‘Contracts’ is selected. This is the one you would want to pick in order to upload your Business Associate Agreement. After clicking the ‘Contracts’ tab select ‘Upload New Document’ to your left-hand side and a little yellow window will show. 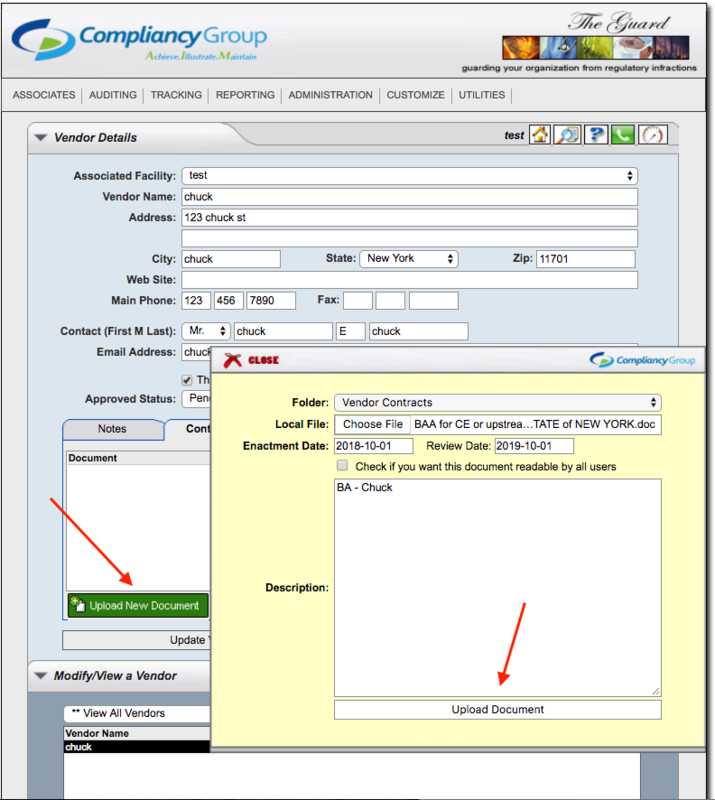 Within the yellow window you will utilize the ‘Local File’ field in order to find where the document is on your computer. The ‘Enactment Date’ would be the day the agreement was signed off on and the ‘Review Date’ would be one year following. For the ‘Description’ field please place a prefix of BA ahead of the Organization’s name. Click ‘Upload Document’ and the yellow window will disappear. You will find that the information you had entered now shows beneath ‘Document’ within the ‘Contracts’ tab. 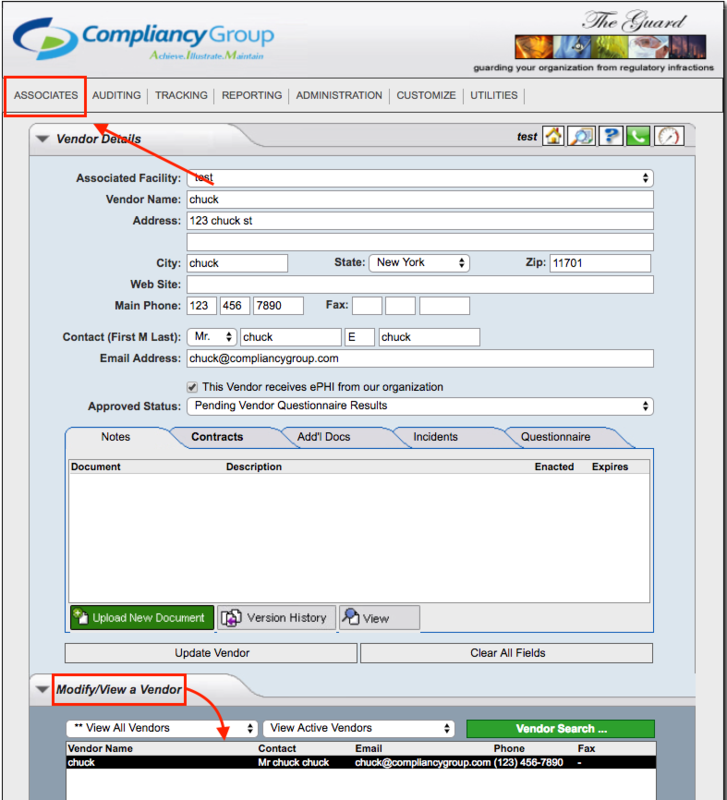 For uploading Confidentiality Agreements from Vendors it is similar to uploading Business Associate Agreements, but does have subtle differences. Follow the same process as above but place a prefix of CA ahead of the individual’s name. Please remember that for Confidentiality Agreements from Vendors you need to have each individual who enters the facility sign the agreement, instead of the Company they work for. The ‘Review Date’ is a key difference from the Business Associate Agreements. Rather than requiring a review date of one year after the ‘Enactment Date,’ it does not necessarily matter when you set the ‘Review Date’ out to in regards to a Confidentiality Agreement. When all is said and done be sure to click ‘Update Vendor’ below the green upload key to staple your agreement to the profile!! !